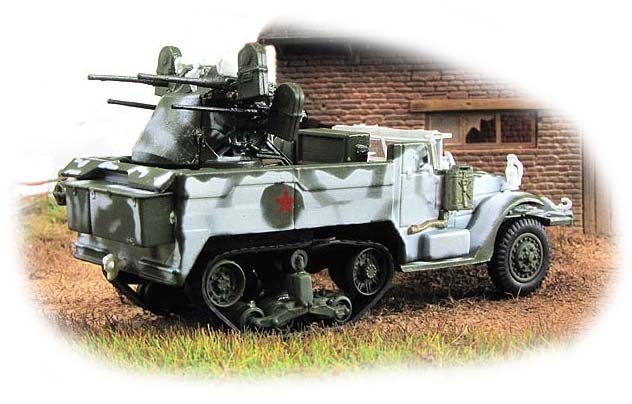 Among the weapons the Red Army lacked the most during the war were armoured anti-aircraft vehicles. 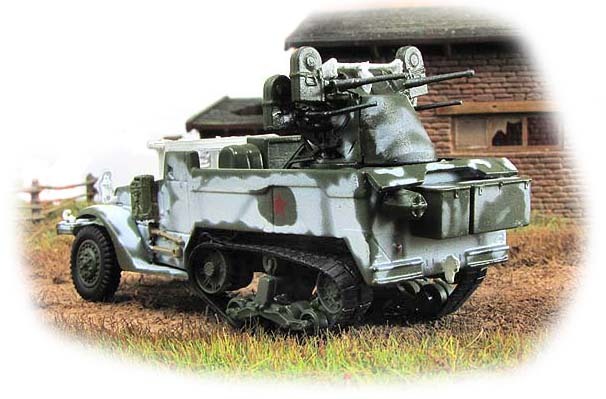 Once again the «arsenal of democracy» could be helpful as the American industry had successfully combined the halftrack with the half-inch Browning M2 Heavy Barrel. 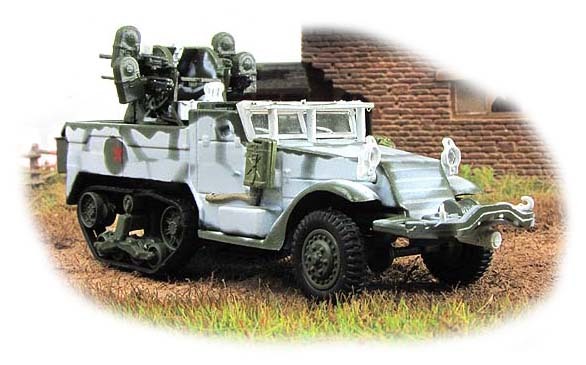 This combination existed in two main flavours, with a twin-gun Maxson M33 turret and, better known, with a quad-gun Maxson M45 turret. The latter was usually mounted on a M3 chassis and became the M16. 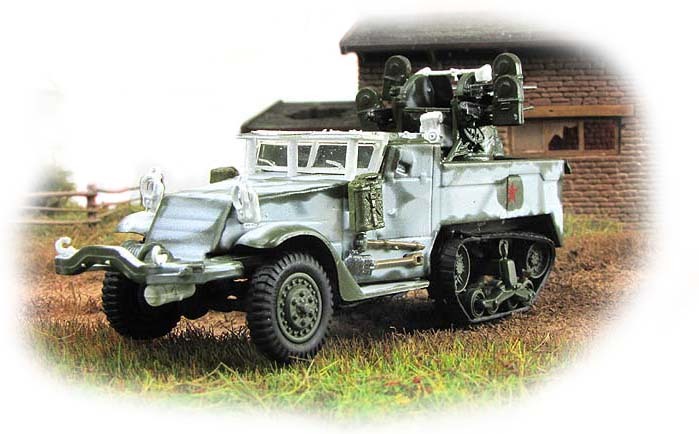 1000 samples, however, were installed on the International Harvester built M5 from December 1943 to March 1944 and subsequently delivered to the Russian ally. There, the M17 proved extremely effective against low flying and soft ground targets and soon earned its nickname «meat chopper».